Hello everybody! 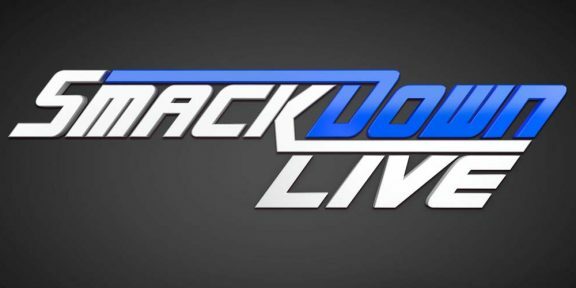 It’s @TheMagnumDA with another edition of the Smackdown Live! TV report for April, 24th, 2018. It’s going to be very interesting to watch this program, now that the roster has shaken out. There’s still a few days left before the Greatest Royal Rumble in Saudi Arabia, but let’s not waste another second. On with the report! MizTV w/Daniel Bryan: Miz announced Bryan’s introduction, but Bryan never showed up. Instead, Big Cass interrupts the proceedings to challenge Daniel Bryan at Backlash. Cass wore a suit with a sport jacket. The jacket looked about four sizes too small in the arms. After commercial, we learn that Daniel Bryan was attacked backstage, presumably by Cass. Contract Signing for Carmella vs. Charlotte: Carmella was introduced first. She threw shade at Renee, and then asked her why she was being introduced first when she’s the champion. From there, Carmella played THREE (!!!) repeat viewings of her “ascent to the top” video from last week. Each time, she asked the crowd to stand up and cheer for her. Instead, their boo’s got louder. Finally, Charlotte came to the ring. After some trash talk from Carmella, Charlotte quickly dumped Carmella head-first into the table, and then proceeded to dump the entire table onto her. This got a massively positive reaction from the crowd. Continuity for Cass is King: Last Spring, a very slow heel turn developed for Big Cass. It started with the destruction of his old tag team partner, Enzo Amore. Enzo would be found backstage, lifeless. Subsequently, Cass found himself on the end of a backstage beat-down. Questions were raised about *who* was doing this, and why? While The Big Show was originally accused by Cass, we later found that Cass was faking his own beat-down on film, while continually attacking guys from behind elsewhere. This trend continued on Smackdown Live, and it won me over. That’s right, I’m doing a 180 from last week! To set this up: When Miz announced Bryan’s name to come join him on MizTV, there was no response. The crowd grew restless, but eventually Big Cass showed up. After MizTV, we see the carnage Cass has already laid down. Bryan is beaten and helpless, as trainers and agents are tending to him. Just as he did on Raw, he continues to wreak havoc backstage on Smackdown Live. Plus, it shows Cass to be an insecure coward who isn’t sure if he could beat Bryan at 100%. They’re doing a very good job sowing the seeds for this match; I’m looking forward to it. Asuka loses Match #1 on Smackdown: So much for mystique. In one match, Asuka is already 0-1 on Smackdown. I know that she didn’t take the fall in the loss to the IIconics, but I still fear that she’s going to become another run-of-the-mill lady wrestler. She’s far more special than that, but her talents aren’t being harnessed in the right way like they were in NXT. It’s a real shame, because I think she should still be the undefeated champion of Smackdown Live. Bludgeon Brothers, Pigeon Brains: There’s something startling about the way Rowan lost on Smackdown Live. You’re trying to tell me that this guy was so captivated by Naomi that he lost focus of the match? These guys have been booked as focused, ruthless killers for months…and suddenly they’re in a trance over this girl’s entrance? I didn’t buy it. It just felt like they were the same clueless geeks that used to follow Bray Wyatt around. Nothing too ugly! Entertaining show. All right! That about does it for this week’s Smackdown Live! TV report. See you this Friday for the Greatest Royal Rumble Pick’em!!! @TheMagnumDA, signing off.